An ethereal glow that catches the eye of mere mortals and gods alike isn't exactly easy to cultivate. No amount of glitter, sparkle, or holographic shine creates the same beautiful silver gleam. It isn't a color that appears in nature but when you see glimmering silver jewelry sparkling in the light, one has to stop and stare. Now people will stop and stare at your face (in a good way) when it's coated in this premium makeup. Perfect for those looking for a lot of a little bit of shine, this is coverage that can be built. 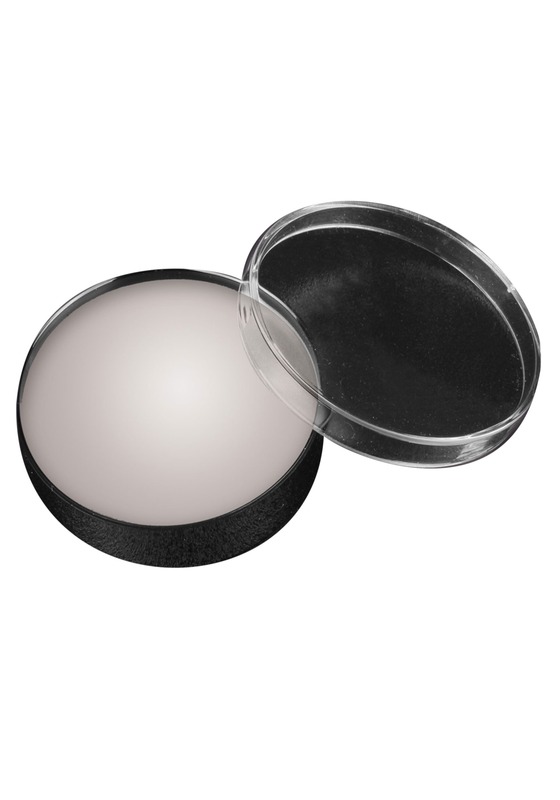 Use it on portions of your face like the browbone or eyelid or apply a thin layer to the whole face for a "silver-plated" effect. You'll receive 0.5 oz. of oil-based silver makeup to help you create a cinematic makeup application. 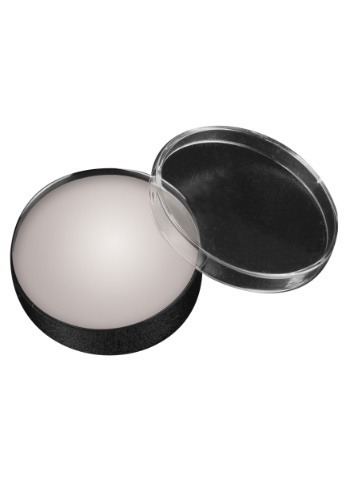 It can be applied with your fingers, brushes, or makeup sponges (which we also sell.) Set with loose powder (sold separately.) To remove, use cold cream or a favorite makeup remover followed by soal and warm water. Add a metallic finish to any tinman (or woman) costume, disco-themed costume, or pop star costume for a mesmerizing look.